Jose Mourinho’s Manchester United will on Sunday clash with Arsenal at Old Trafford in the Premier League. Mourinho’s men head into this clash following their 2-1 victory over Tottenham in the FA Cup semi-final encounter last weekend. 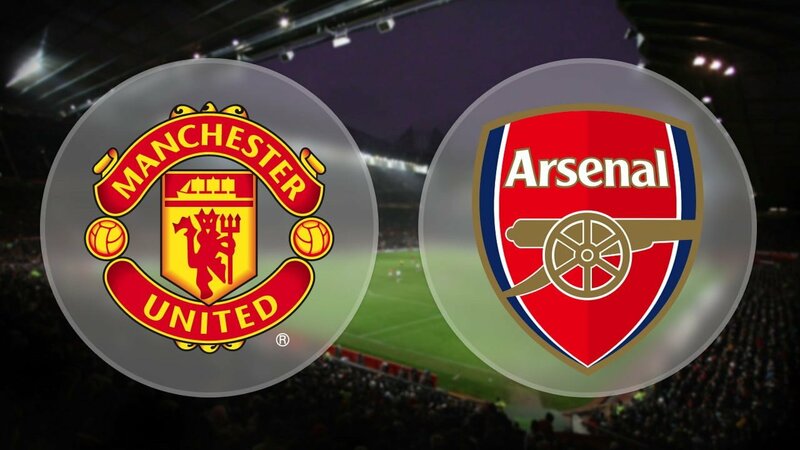 The Red Devils are unbeaten in their last 10 home league matches against Arsenal, winning 7 and drawing 3. United haven’t completed a league double over the Gunners since the 2011-12 Premier League season. Mourinho’s side are currently occupying the second position of the Premier League table with 74 points from 34 games. Goalkeeper, Sergio Romero is ruled out from this clash due to knee injury, while Antonio Valencia is expected to be fit for the game, despite hobbling off with a muscle problem during the FA Cup semi-final win over Spurs at Wembley. Forward, Alexis Sanchez may likely start against his former club alongside Romelu Lukaku and Jesse Lingard. Meanwhile, Arsene Wenger’s Arsenal head into this clash following their 1-1 draw with Atletico Madrid in the semi-final first leg of the Europa League on Thursday. Wenger faces arch-rival, Mourinho for the last time as Gunners’ boss on Sunday. The Frenchman will be leaving the Emirate club at the end of the season. Recall that Wenger announced in a statement on Friday morning that he would be leaving the Gunners at the end of the current season after 22 years with the club, ending a long tenure that got him three Premier League titles. Wenger’s men have lost 13, won 2 and drawn 3 of their last 18 away visits to Old Trafford. The North London club are currently occupying the sixth position of the Premier League table with 57 points from 34 games. Midfielder, Mohamed Elneny is ruled out from this clash due to ankle damage ligament, while Santi Cazorla remains a long-term absentee with an Achilles injury. Pierre-Emerick Aubameyang is expected to return up front and could play alongside Welbeck, while Goalkeeper, Petr Cech is also expected to return to action for this clash. Alex Iwobi and Sead Kolasinac could start, while Laurent Koscielny is ruled out from this clash due to chronic Achilles problem. Manchester United potential starting XI: De Gea, Jones, Pogba, Sanchez, Lukaku, Smalling, Lingard, Young, Herrera, Valencia. Arsenal potential starting XI: Ramsey, Aubameyang, Ozil, Holding, Iwobi, Monreal, Mustafi, Chambers Welbeck, Xhaka, Cech. The kick off time for the match is 4:30pm.